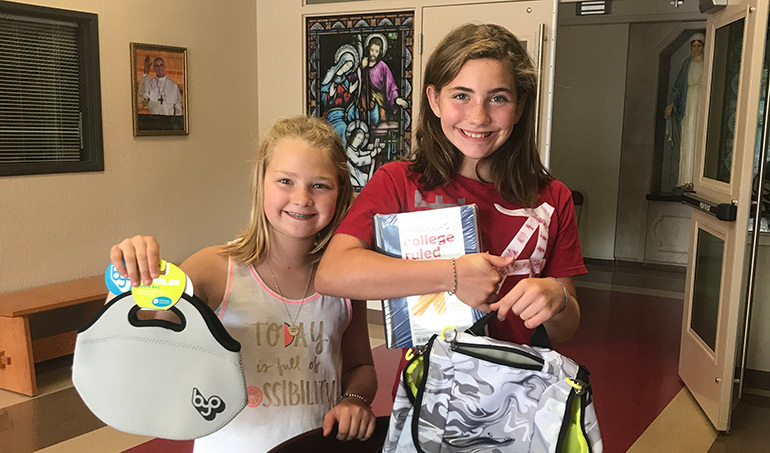 EUGENE — Over the summer, students at O’Hara Catholic School here collected school supplies for Catholic Community Services of Lane County. The organization gave the school its wish list, which was posted online along with O’Hara’s school supply lists. The school encouraged families to pick up an extra item or two for donating when they went school supply shopping. Parishioners also donated cash. Items were taken to Catholic Community Services for distributing to local families in need.